Paediatric First Aid Courses Liverpool – Would you know what to do in an emergency if your child suffered an accident at home or if you are a childminder? 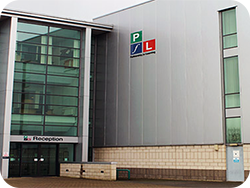 We are dedicated to delivering life saving techniques through our professional, interactive and most importantly enjoyable emergency first aid and first aid at work training courses all at a competitive price. This Paediatric First Aid course is a QA Level 3 Award and is recognised by Ofsted and includes the requirements of the appointed person in the workplace. We can deliver this 2 Day Paediatric First Aid Course directly in your place of work anywhere in Liverpool for a group of 6-10 delegates for only £690.00 +Vat. Or for smaller numbers we do offer our ‘Open Courses’ for individuals – full details below. Paediatric First Aid Training ‘Open Course’ per delegate is Only £105.00 +Vat. Call Janine or Mark on 0151 515 0416 for further details or to secure your Paediatric First Aid Training place on our Open Course. 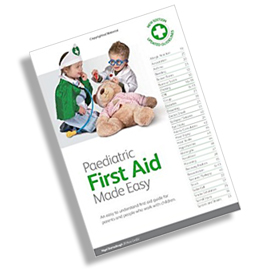 Each Delegate will receive a FREE Paediatric First Aid manual on attending any of our Paediatric First Aid courses and because our First Aid courses are fully accredited, you can be assured that you have fulfilled your legal responsibilities for providing quality first aid training to your staff. Paediatric First Aid Courses Liverpool – For more information on our first aid courses offered by Training Solutions North West and how we can help you find the right training courses for your business please email us or alternatively, call us on 0151 515 0416 and speak with one of our training Consultants. This Paediatric First Aid course is a Level 3 Award and is recognised by Ofsted and includes the requirements of the appointed person in the workplace.